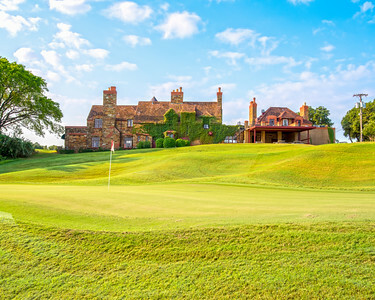 The city-owned Hawks Creek Golf Club is a premier course that attracts some of the best golfers in the Metroplex. In 2014, the course received a makeover and opened a new driving range. Come and experience the beauty of this historic property while challenging yourself to a first-rate course. For the best rates, book a tee time online at www.hawkscreek.com. Westworth Village residents play at a discounted rate (ID required). For more information, please call the Pro-Shop at 817-738-8402 ext 5. Driving Range Hours are the same as the Pro Shop. Driving Range closes on Monday's at 3pm for maintenance, but the range will re-open on Tuesdays at 10 am and will accept credit cards or range cards.